But they're still two bosses in that game... Maybe there are two new characters, and you fight with them separately in the others story mode (Like how you fighted with Iku first then with Tenshi in SWR) but they're a team in their story mode? This incident's origin might be related to Sumireko. I think someone else has latched on to the rumor spread by her "humaning away" effect from WaHH and is taking it as far as they can with the Urban Legend power. I really don't expect Lunarians involved. Though if it's a duo tag system, and flowers are a thing of note...Yuuka teamed with herself for penultimate boss? That'd definitely explain why the villagers are flipping out. The final's got to be a new character or characters, of course, that's just how ZUN does it. She said she wasn't interested in the Urban Legend stuff in Marisa's LOLK ending. Remember when some people expected Shinki in HM because the Japanese title contains a character found in her name? Tag Team Touhou oh boy. I wonder how the gameplay will look. Tekken-style character switching, or Marvel-style assists? Or both? If the combo system holds up, the game will look pretty crazy, and that'd be really cool. I wonder what they are going to do for the music. Will they reused the remixed tracks from ULiL? Will they ask more artists to remix tracks for the new characters? It be cool to see the same soundtrack remixed again, but I can see that being more of a hassle than just reusing tracks. I'll bet the final boss we're going to fight the other one in our team-up somehow, before fighting the clone of the duo, before facing down on the boss. That would definitively be appropriated with the theme. Edit: Hopefully ZUN could deliver it though. The idea of a tag-team fighting game have too much potential to be used, it's maybe too hard to program it. other are pretty much too at odd at each other to think of a proper pair-up. 1. Reimu/Sukuna - they already live together basically. 2. Marisa/Nitori - history. Besides, Reimu/Marisa together is way too op and unlikely story-wise. 4. Futo/Miko - obvious pairs. 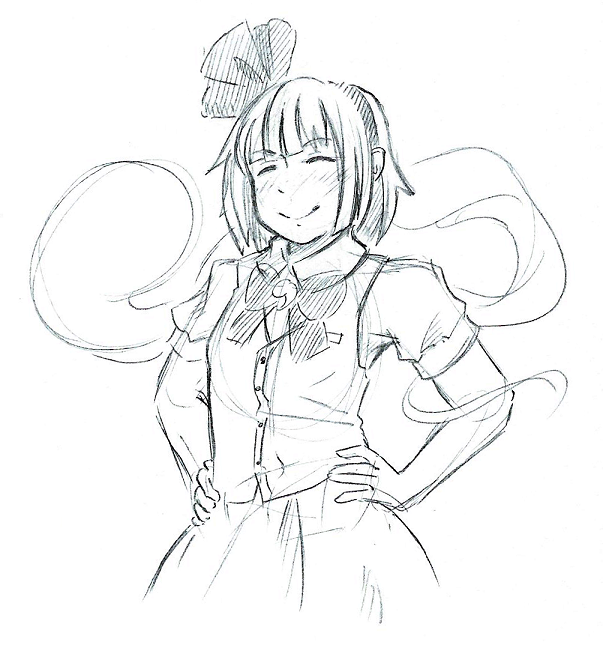 I think it's right to expect Kaguya, along with Wriggle, or only one of them. Hisoutensoku wiki said ZUN had planned for them. How much do you wanna bet that its going to be characters that NO ONE expected? Somehow, I get the feeling that the title will make perfect sense in the end, but in a way we'd NEVER be able to come up with until we see the story. Like "Hopeless Masquerade". I don't think many people here called that the plot of it was a menreiki (masquerade) stealing hope (hopeless) in order restore her lost mask of hope! The plot already has me in its clutches. I MUST KNOW WHAT HAPPENS! My flipping brain if Yuuka moe gonna be one of them. 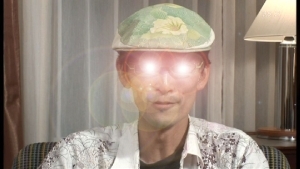 In the end, though, all this speculation will be completely thrown out the window when the new characters are announced and we find out none of them make any sense and ZUN/Tasofro just added them because they thought it'd be cool. 4chan's already trashing this game like it's already out. Touhou is already dead to them. Somehow I almost feel like Medicine is more likely to be involved than Yuuka. If Yuuka is in the game, it would be neat to see her paired with Doremy as a Dream World team, even though I realize Doremy's probably pretty unlikely. Makes me wonder if ULIL's reveal had such an overwhelming negative reaction here, how bad was the reaction there. This place is taking this game nicely. Well, 4chan only like the Touhou games that are Danmaku, they act a lot more violent and they have more trolls, haters and other awful things. There are rules here that aren't in 4chan, that's why is so chaotic there and here is much more smoother and pacific. Playable Kosuzu, that's something I want to believe. It might be this or another one of those instances where a character(s) is added based on a remark, dialogue scene or something obscure in one of the print works. This is how Koishi got in HM after all. As for Kosuzu, I could imagine her fighting with books which she opens to do various effects although that would involve inserting something completely new that hasn't been established and I guess there's no way she'd want to risk damaging the books. Windows Yuuka has no relation to dreams or the Dream World whatsoever, tho. Also, unless something changed, Sumireko should be unable to visit Gensokyo physically, and outside her sleep time. Adding Rumia, Wriggle, and Kaguya, would finally complete Soku's initial idea. Is it somehow confirmed to have playable teams? Otherwise i'm guessing you only have teams as opponents when playing the story. The rumors about this unbeatable enemy are similar to how Taisui Xingjun in Soku was also supposedly invincible. Probably a call back? I still remember how much chaos and negativity there was here when ULIL's gameplay was revealed. Someone even cried Christmas is ruined... Surprised the same hasn't happened for this game. And then people realised many of the issues they had with Hopeless Masquerade were eliminated, except for those who didn't even want to try. For the record, my one favourite thing from this series, other than the soundtrack, is character interaction. Competitive fighters are perfect for that purpose. "It could be either, depending on how you interpret it. technically, he *has* been working on this game, though he hasn't been a part of the gameplay development. Hopefully we do get another double release!" I'm going to make a guess and say one of the teams is Reimu/Mokou, since we already saw them switching places in ULiL extra. As for the new old characters, I'd guess at least one person from LoLK, maybe 2 since we have the team system. Junko would be interesting to see, Clownpiece is already getting some spotlight in the manga and would also be interesting to see, I can't imagine how Hecatia would play but she's the next one I'd imagine. I'd expect read: hope Nue and/or Seija too, though I expected them last game and that didn't happen. 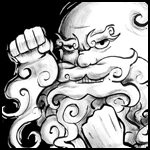 ZUN's recent return to the old games makes me think we might be getting a character from 6-9, though I feel like he's already given the IN crew their spotlight. I don't think the pairs are going to be obvious a la Reimu/Marisa or Ichirin/Byakuren, so I don't really have guesses on that. Although story mode will most certainly be concrete pairs, I wouldn't be surprised if normal play lets you mix n' match. Fixed teams would be horrible and I don't think they will go that way. Even if the system allowed you to just play one character all the time with no penalty, that would be a terrible waste of potential. That said, there are a lot of possibilities to consider when designing a tag team system. Would the characters have separate life bars or a shared one - and if separate, will the loss of one team member equal KO or not? How vital will switching out be to resource management? If not very vital, then will simple ULiL-style 1v1 battles be a viable option for Versus Mode? If vital, then what kind of variety will it bring to the gameplay? Switchout moves? Tag cancels? Assists? Combo breakers? Some character-dependent passive benefits on switch like in Ougon Musou Kyoku? There is a lot to consider. Has there been any confirmation this is a tag battle/two character system? Or is that just speculation based on the limited info given?